I was going through old emails and found one to you. 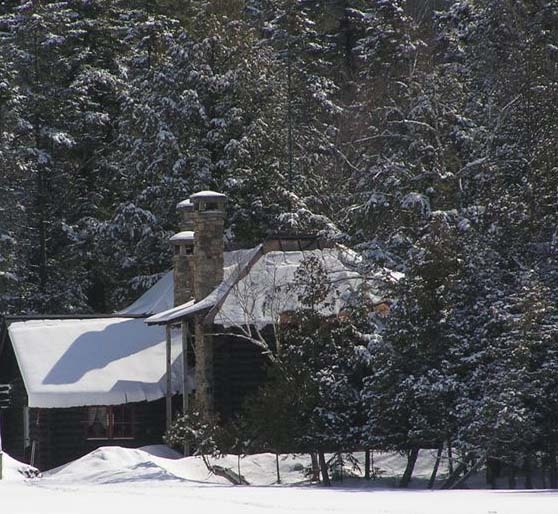 I am the guy in the Adirondacks building the log camp similar to the 1880's camps. The firebox is soapstone and I used Superior Clays one piece cast throat, offset smoke chamber and rotary damper. The chimney closest to the camera in the picture from the lake is the one for this fireplace. 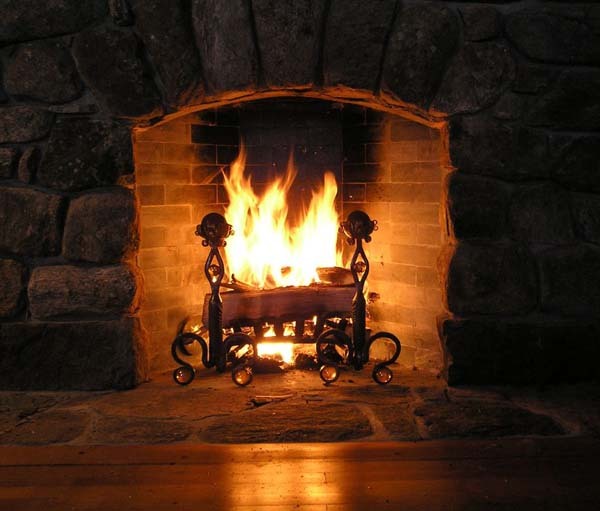 Today it was -1 degree and the wind was howling but the fireplace, I'm happy to say, drew beautifully and heated well.